Roller shades are an incredibly simple and highly adaptable option to control the light and privacy of a room. With easy to use manual or motorized options, roller shades offer a versatile and easily installed window furnishing that will compliment any décor. Furthermore, roller shades are available in a variety of fabrics and designs to suit all tastes. Roller shades are also easy to clean and maintain and provide maximum light when fully retracted, and when fully closed, can prevent all light from entering a room. Roller shades are one of the most versatile and practical window treatments today—perfect for homes and offices! Ours come in a variety of designs and fabrics, giving you plenty of options for each window in your space. Here at Innovation Shades, our goal is to help you achieve your preferred level of privacy with the right window treatment. Plus, our selection of window treatments can considerably reduce outside noise, making it easier for you to rest and relax after a hard day’s work—or concentrate on your tasks in the office. For NYC offices, motorized roller shades are what we would recommend, especially for conference/meeting rooms. Motorized shades make it easier for you to control the level of light you wish to come through your window. With a touch of a button, you can position the shades at any angle you want. No need to get up and disrupt work. And since this type of shades covers the full length of the window, you can reduce your heating and cooling utility bills too. They can block out the sunlight during summer and keep the heat in during winter. Our motorized roller shades for New York City spaces are likewise ideal for home theaters. You can darken the room at the touch of a button when you want to watch a movie, or keep the shades up to let natural light in when listening to music in the daytime. In a word, your NYC roller shades from Innovation Shades combines aesthetic appeal and functionality, giving you a cost-effective solution to your window treatment requirements. We are happy to say that our roster of exclusive clientele with discriminating tastes is highly satisfied with Innovation Shades window treatments. This is because we take a personal approach with each client that comes to us for assistance. Our top priority is customer satisfaction which is why we go over and above what is expected of us. 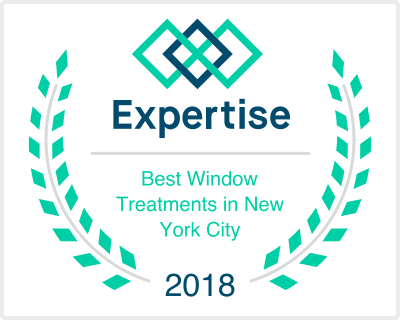 If you need assistance with choosing a window treatment for each room in the house, or for your office space, we will be more than glad to discuss with you the options available to you. Please don’t hesitate to give us a call at your convenience. You may reach us at (212) 343-9900. You may also be interested in solar shades, Roman shades, wood blinds, and aluminum blinds.